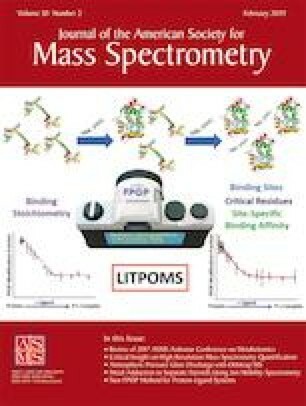 A modified version of desorption electrospray ionization mass spectrometry was developed for (i) better utilization of analyte ions and (ii) larger sampling area via synchronization the pulsed nebulizer gas with ion injection. To synchronize the sheath gas, gas flow was paused for 50 ms within each cycle, leading to solvent accumulation at the end of emitter tip. That solvent accumulation enlarged the desorption areas. As a result, the amount of analytes increased. 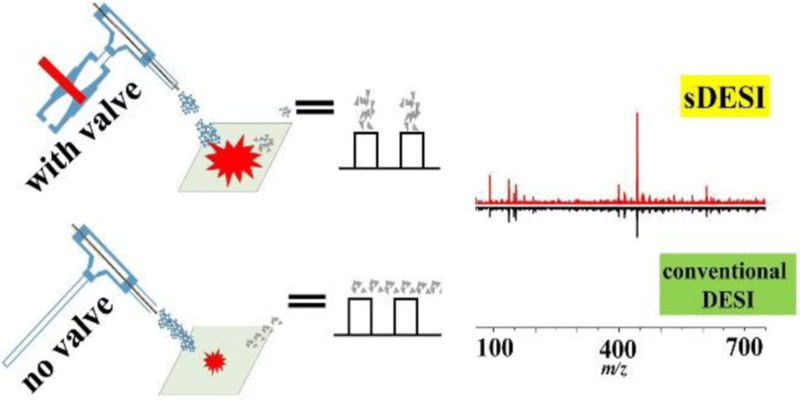 Thus, the improved signal intensity (~ 2–5-folds for various substrates) was benefit from both better analyte ion utilization and larger desorption areas. Finally, the enhanced signal intensity was confirmed with both garlic homogenate and brain homogenate. The online version of this article ( https://doi.org/10.1007/s13361-018-2082-z) contains supplementary material, which is available to authorized users. The authors are grateful for the financial support from the National Natural Science Foundation of China (21775143 and 21475121), National Key Research and Development Program of China (2016YFA0201300), the Innovative Program of Development Foundation of Hefei Center for Physical Science and Technology (2017FXCX003), foundation of MSERC (40-AKYKF1603), and Recruitment Program of Global Expert.